If you like this song - please share with your friends. Lithuania is the nation of worshipers, and even today we not see that powerful move of the Holy Spirt, but we believe that those days are coming soon. This year for me started so special – from 1st of January I spend 3 weeks on the Sea of Galilee in prayer seeking for will of God and His leading. That time God start showing to me house in second large Lithuanian city Kaunas, and inside of me I had knowing, that He is willing to start new things. He said: “Behold, I make all things new”, and I believe, that new things need to start from worship and prayer. Truly is possible to do many things for God, but dismiss Himself. So what we can do? I believe, that when everyday burns fire of prayer and worship and we regularly study Bible – this is like fuel from Heaven starts the spiritual engines inside of us, and we can go in that direction where Lord leading us. From the very beginning I saw, that this house is full of heavenly life, and every morning and evening we have worship and prayer meetings. I believe this is the new acceleration when we moving into worship 24/7 ministry in Lithuania. 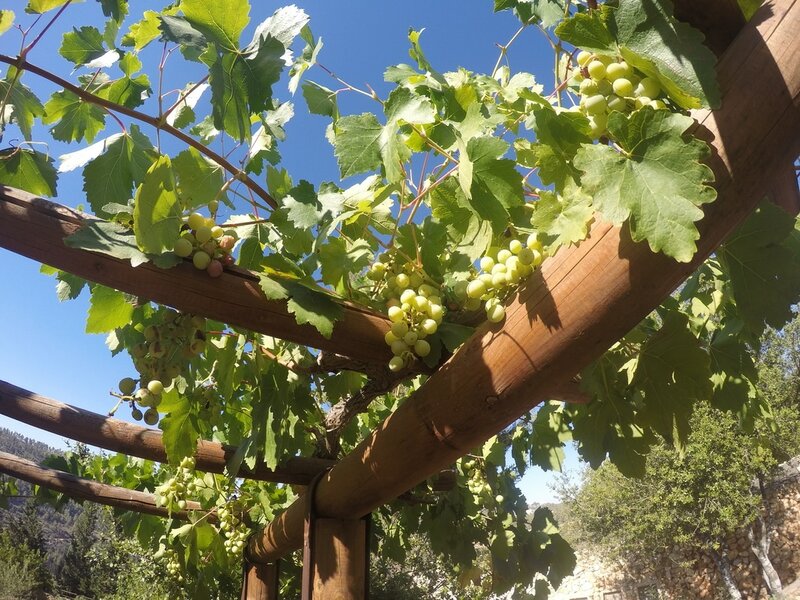 When I was on the Sea of Galilee very powerful stream of information start flowing into me. That was Christian organization (or even few organizations) strategy, and till that time when I not started writing – those thoughts was attacking me. In the beginning I tried to cast out those thoughts, but later few people confirmed to me, that in this way God speaking to me. In 3-4 days strategy was written down on the page, and when we start seeing big picture of dream house, I and precious brother Jonas called this place “Revival Hub” – connecting place for many Christian initiatives. When I continue my prayers on this direction, I understood, that this house is on the hill, and through the window we can see city with many houses, and pray for those people. I had understanding that we can’t have worship 24/7 from the very beginning, and Holy Spirit was whispering words in my heart: “Be faithful in small, and I will give you bigger things”. Because of that I believe that everything will start from 3-5 hours daily worship, and God will lead us, teach us, and grow us. This ministry will move from glory to glory, from power to power, and from faith to faith, as in spiritual realm, the same in natural realm. When ministry will grow – one day we need to move to bigger place, but beginning anyway will be small, not seen from outside, and maybe not understood by many people. I don’t had understanding when everything starts, but I know that I need to do homework – just to search in the internet for house and watch in prayer. Few weeks ago in one of real estate agencies I found beautiful house with amazing wooden ceiling. I thought that this is perfect option, because wood is very good for acoustics, and price of rent was quite good. This Friday with a group of enthusiasts who also willing to see worship 24/7 in Lithuania we came to see this house. Before we was coming I pray simple prayer, that God will testify in our spirits, this house is from Him or not. Even house looks so pretty, but inside of us was very clear answer: NO. When we look all rooms, we came out and shared with each other what we felt. All of us had inner feeling that this place is not for us. That moment I remember, that I saw on internet one more house in “Greenhill” district of Kaunas. Right away I call to Landlord, and he was able to show that house immediately. When we came to cozy street of private houses, we was welcomed by very nice an honorable age man. House what he was going to show for us, belong to his emigrated son and granddaughter, and near to that place he living with his wife. When we going through garage, such amazing view was open and we can see beautiful picture of the city. We was standing near the house on the hill, and my heart was rejoicing when I saw panorama of Vilijampole and Shilainiai districts. Actually in this districts is a lot of crime, and they need intersession. When we was walking inside of the house and in near based garden, Holy Spirit was testifying to us and revelations start flowing. Near house is 10 Ares of land where beautiful apple trees growing. Landlord told to us, that if we rent house from him, we will be responsible for all garden, and when we go into basement of the building, he was showing one of the rooms and told, that in this place we can do storage for wine. I told him, that we not drinking alcohol, but later I understood that those words was prophetic. 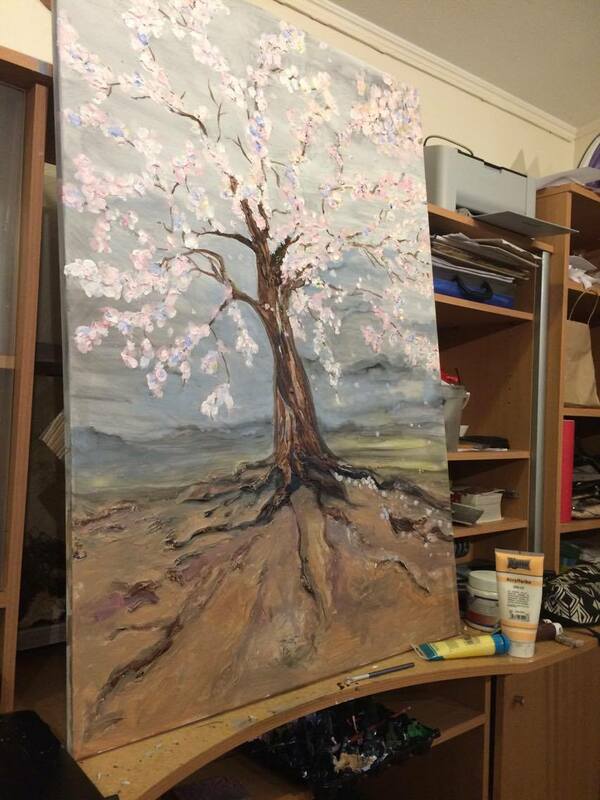 When we look all rooms, worshiper leader and painter Rasa shared her spiritual experience. Day before when we came to the house on the hill, one sister in Christ called to her, and shared the dream. She said, that in the dream she was together with Rasa in big garden picked up apples, and Rasa was teaching her how to cut little bit rotten apples. When we left that place, Rasa was calling to me and shared, about the things what Lord start speaking into her heart, when she was driving with the car. She get revelation that our worship songs like apples, sometimes rotting in a big pile, and we need to care about that, to cut those apples and to do wine of the Holy Spirit. Lithuanians really like to sing, but very often they are doing that in not sober condition. But heavenly wine is much better vs earthly - it’s giving much more joy, and from heavenly wine you not feel bad in the morning. Can we together open more crane of the Heavenly wine today, that Lithuanians can chose not temporary things, but eternal? When Rasa came back home she sent to me picture of few days ago finished art on canvas. That was blooming apple tree. So, first Lord gave picture of blooming tree, next day dream about apples to one sister, and on the 3rd day we was standing surrounded by the apple trees near the house on the hill. I don’t how about you, but I believe, that it can be Gods chosen place for the next season. Till 1st of October in that house living international students, and when we visited they was in the house and it not was possible to make photos. Thanks God that we was able to see rooms. That not was so beautiful like place where we was before, but in our spirits we had such a joy and peace. Upper room, where this year we planning to start daily worship is 32 sq. meters and in that room is 2 small triangle windows through where you can see beautiful panorama of Kaunas. Landlord told to us that it’s very beautiful in the night, when all lights start shining in districts on another side of the river. That’s is really perfect place for worship and prayer, because walls of the house is thick, and nearest neighbors is quite far. Because house is on the hill, so from one side is 2 floors, and from another is 3 floors. 1st floor is basement, where is heating room and storage. In 2nd floor – 23 sq. meters room, 9 sq. meters kitchen and quite big bathroom. In the 3rd floor 10 sq. meters room, and 32 sq. meters room, where we planning to start daily worship. I don’t know yet how we manage other rooms, but probably in the day it would be office rooms, and in the night I and maybe one more or 2 ministers will sleep. It’s not most comfortable idea, but I believe we can manage that in the beginning. Moving into the house on the hill – it’s a step of faith, because we need to invest money and time into the things what we can’t touch with our hands, but if we believe – we can touch it with our hearts. Even before when I published this information, already 5 people said, that they can bring responsibility and for 1 year start support this project. They hearts are burning with desire to worship God and they willing to see worship 24/7 in Lithuania. Amount that all of them can give is 350 euros per month. Total rent of this house is 450 euros per month, and taxes for water, electricity and heating can be 200-300 euros every month, maybe if it’s very cold it can be 400 euros. (Landlord don’t exact numbers, because only this year they fixed new heating system.) So we have nearly half of amount what we need for monthly rent and taxes. In the end of August r I need to sign contract and to pay 900 euros deposit for 2 months, plus 500 euros extra guarantee advance. I believe that if its Gods will all money till 30th of August is coming. 1st month we need help to move, decorate rooms and prepare place for the ministry. Also we need more hands for work in the garden – to bring apples, to make juice, and boil apple jam. These goods we will share with all helpers, and also with those who are in need. If you have not usable music instruments or sound system, I believe that this can be used for the glory of God. I sincerely give thanks to you for your prayers. Today we need faithful intercessors and dedicated sowers, who can commit for 1 year financially and every month donate some amount to this ministry. If you feel that God is calling you to support this initiative, just write me email, and tell me what kind of amount you are able to donate every month. And it’s not important that amount is big or small, God sees your heart, and if He is encouraging you to support, please do that according your possibilities. We giving thanks to you in advance. If you can’t commit today to be our financial partner for all year, but you feel that you willing to support any amount – we really appreciate that. As I told before we need 1400 euros for deposit, and today we have only 250 euros. I believe that house on the hill is something new and fresh in Lithuania, and I’m so happy, that I have a grace to be part in this work of God. I give thanks to you for your prayers and support. I believe that now is the time when God is restoring destroyed tabernacle of David in Lithuania, and He is doing that through us, because we are His hands and His feet’s on this planet. So, let’s stay in fellowship with Him and with each other, let’s live in simplicity and share love of Christ with all, because those things glorifies our Lord Jesus Christ the most. I‘m so happy that I can share again with you about that what God is doing in my life. Lord is so amazing, and every day with Him is so special and exclusive. In October will be 3 years, when radio program “From death to life” is broadcast in Christian radio station XFM. When I ministering in radio I can’t see listener’s faces, I don’t know what they feel. Because of that for me is so precious feedback via email and Facebook, but the best is to see those listener’s and to hear feedback face to face. That kind of experience I had last week, when I was in Lithuanian port-town Klaipeda. When I visited chapter meeting of Full Gospel Businessman International (BMF), I met one brother who was listening my radio programs, and through this programs he came to BMF and there found faith to our Lord Jesus Christ. Next day I had grace to see sister in Christ. She born again in women’s jail, and when she was there, she was always listen my programs. Actually I don‘t have full picture what kind of influence doing my radio programs, when they are broadcast on radio, and also when people listen archive in internet. So, I sincerely giving thanks to you for your support in prayer. Let‘s be in agreement and together give thanks to God, that He giving grace for people to hear the truth, and truth setting them free. 1st radio program in August was ex-Rasta man and drug dealer Justas Dromantas life story. Listeners can hear about his old life and to know how happen that he left dirty lifestyle and became a pastor. This program I recorded when I was traveling in UK. Other 2 broadcasts in August – testimonies, that I recorded in Jerusalem. 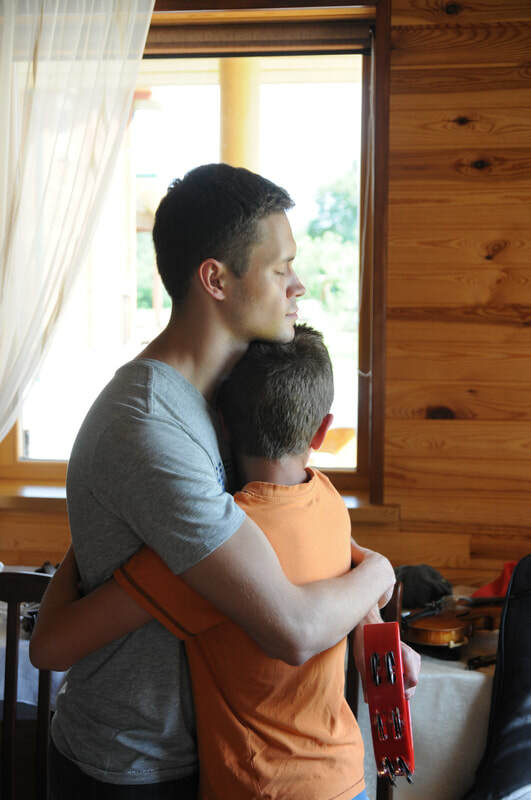 One of them – inner healing story, shared by missionary child and IHOPU graduate Matthew, another – in Jerusalem based house of prayer „Succat Hallel” founders Rick Ridings testimony about that what‘s happen when worship going 24/7. In this program Rick also sharing interesting experience from his childhood, when God confirmed to him and to Lithuanian women about certainty of the gifts of the Holy Spirit. Are you interested to hear about that? Let‘s do it! 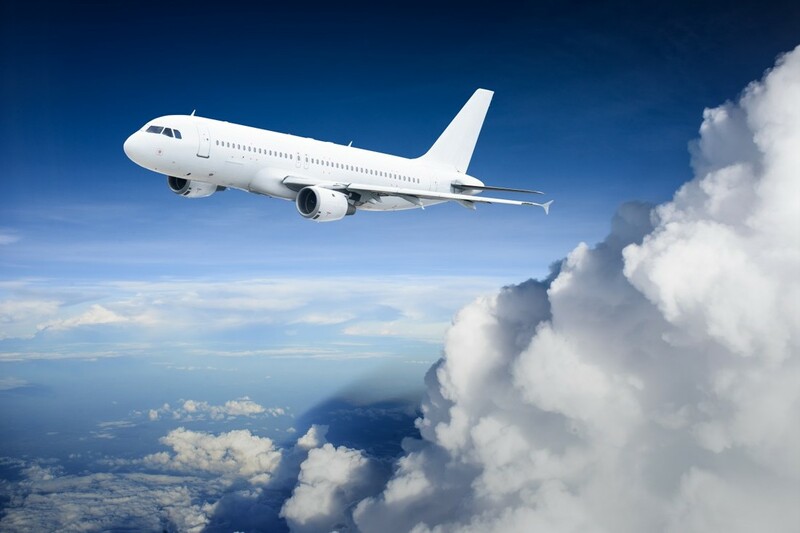 August is rich for me by the traveling in Lithuania, and in September again starts my international traveling marathon. 1st – 5th of September I traveling to Denmark. In Copenhagen I will meet with my friend from university years, later I will travel to Viborg, where I have grace to see brother in Christ Aivaras. He born again last year when he was listening my radio programs on internet and BMF testimonies. And the last stop of my journey in Denmark – Jesus Hotel in Aalborg. There is the center of The Last Reformation movement. Those who saw The Last Reformation movie in YouTube channel, you can agree with me, that this is a place where is possible to hear interesting life stories and record encouraging broadcasts, with the reason – to glorify our Lord Jesus Christ. That‘s because I traveling there, and in advance I giving thanks to you for your prayers and support. From Aalborg I will fly to London, where I can be from 5th till 12th of September. This city for me is so special, because there I born into the Kingdom of God, and I have so many precious friends. During this trip in London I will lead worship night in Lithuanian Christian Church and I have possibility to see so many amazing children of God. I believe, that during this trip Lord will give me grace to record few interesting and inspiring broadcasts. When I coming back to London, I will stay in Lithuania for few days, and 15th – 17th of September I traveling to Stavanger, Norway. I’m invited to Christian conference, and I believe that my participation is important to the Lord. In the beginning of 2016 I asked worship leader Garbriele Gvazdikaite, can she record back vocal in my song. She say yes, and asked maybe she can also record few songs. Then I encouraged her and helped to record full album. God’s people donated 2375 euros, and after 1.5 year was realized 1st Gabriele’s album. That was 1st my initiated that kind of project and I know that we did some mistakes, but better to move with mistakes, even sit and think about perfect project, but nothing doing. I like thought “Perfectionism is enemy of progress”. So, I choosing progress and moving forward. I see, that in Lithuania worship is restrained and only in few churches songs of praise can flow freely, and in the during of worship is a space for spontaneous and prophetic. 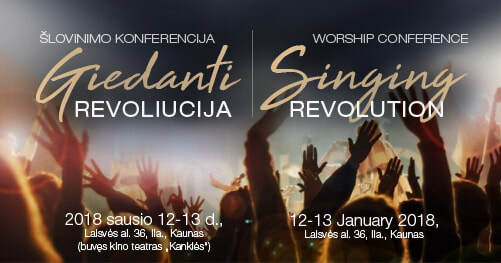 Lithuania is very singing nation, and I believe that God is willing to ignite people and restore worship ministry in Lithuania, that any human frames can stop us from pure and intimate worship. We experience that in worship camp “Breakthrough”, and I just want to share that with all. With such joy I would like to tell you, that 30th of September we organizing 1st worship seminar “Breakthrough in Vilnius”. This seminar would be at charismatic church in capital city. More about that I will write in next letter. I just want to highlighting, that worship opens heaven and giving space for our Lord Jesus Christ move among us, so be sensitive to Holy Spirit and do not stop what God ignites. Thank you that you are in my life that remember me in prayers, and I give special thanks for all of you who supporting my ministry financially. I really appreciate that and giving thanks to God for all of you. In the beginning I want to give thanks to all of you, who prayed for worship camp “Breakthrough”. I believe, that because of your prayers this camp was such amazing. I believe, that such a special memories for all 30 camp members would be saved in their hearts for all their lives. Personally for me “Breakthrough” was more than I expected, and Gods presence was such a strong. I was willing that this never ends. Even when I came back home for few days I felt the same supernatural presence of God, and that was like invisible robe covering me from head to toe. God is God and He knows better what we need. Even collecting such a different people from 7 Lithuanian cities, and more than 10 communities, Lord had plan for all camp, and for everyone personally. I’m rejoicing that it not was any control, and Gods love with every moment was growing. 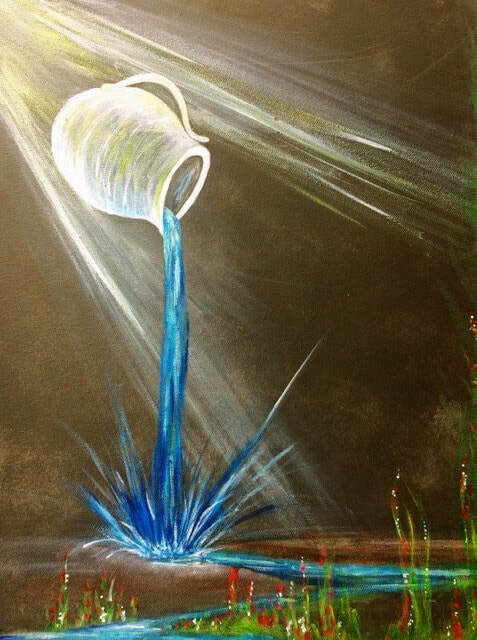 Probably because of that was can flow so freely in leading of the Holy Spirit. Many of us was hungry for such kind of worship, when no one does not press the brakes, and all together we can drive in the highway of the Holy Spirit in our hearts worshiping King of Kings and Lord of Lords. From the very beginning of the camp we lost timing on our program, but in our hearts we felt that everything is ok. Maybe because we had precondition not connect our hearts to schedule, but strongly connect our hearts to the Lord. And if in program we had 1 hour for worship, and after that we had planned to start seminar, but Spirit of God was leading to worship for 90 minutes, we forget about the program and we was going forward into the places where Lord was leading us. Interesting, but that was felt like we was going deeper and deeper in to the water. Something similar is written in the book of Ezekiel chapter 47. Even one brother, who came little bit later and joined us in to the place where we was worshiping, later on testified that he experience something like get into the pool. And I can tell you, it was so amazing to swim in the ocean of the Holy Spirit, be refreshed and encouraged by the Lord Himself, who gathered us in amazing Lithuanian village, surrounded by the beautiful nature, with only one reason – to reveal Himself personally. I understand, that it’s impossible to share the mood of the camp, but I would like to share few videos from the camp produced by our video maker Debora. Truly camp was very spontaneous, but as we planned we touched some important topics. I shared my insights about Lithuanian spiritual identity, Christian music management and publishing, and worship 24/7. Justas was sharing what he received in Bethel School of Supernatural and about simplicity how to move in prophetic gift. 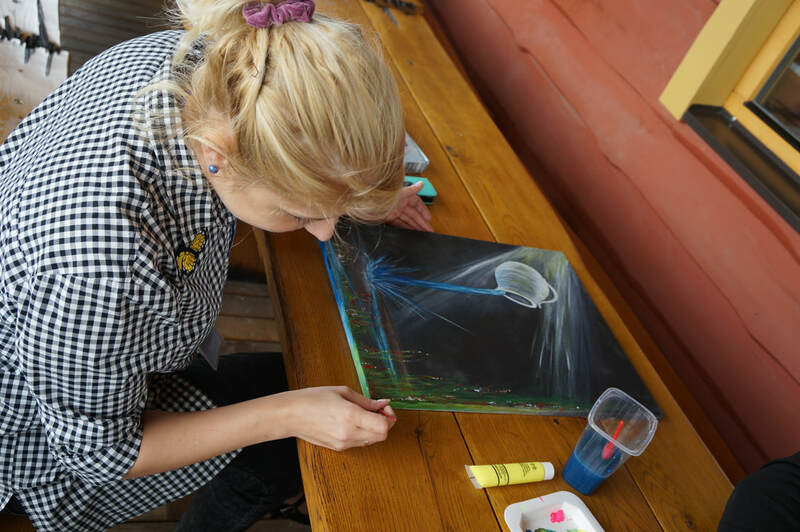 In the camp we had not only musicians, but also worshippers who painting beautiful pictures, so Rasa Biliuvienė shared about prophetic painting, and I thing that she encouraged many of us to do something what we was willing to do, but because of some reasons we stop doing that. Drum teacher Kestutis Didvalis shared his experience, and all camp was crowned by the song writing seminar. Many of camp members realised that to write the songs is simple, and those who never wrote the songs had personal breakthrough in this area. Evening before the camp I was printing some material for camp members, and when I was printing I saw that ink is going to the end. I know that in the camp I need to print something, so I booked to change old cartridge to new one. Those who had printers, you know that then ink is going to the end, if you bringing out cartridge and shaking, you can print again. So, I decided to print out my cartridge, and start printing with big letters Bible verses. In the process of shaking cartridge I printed about 10 pages, and I understand that these Bible verses we need to use in songs writing seminar. So, I start searching for me Bible verses, and ink was not ending. So, finished printing process at 2:00 am, and from “the going to the end” cartridge printed about 50 pages with big font scriptures. And Holy Spirit used that Scriptures in amazing way – people spontaneously singing when they saw page with the words, and new songs start coming. This camp was 1st project of non-governmental organization “Prabudimo orkestras” (eng. “Revival Orchestra”) and praise God this project was financially successful. Even participation of 9 people was fully or partly covered, after the camp in bank account we had 18 euros, so thank you so much to all of you, who supported this initiative and blessed those people, who don’t had enough finances to come. God is great and He connecting hearts of His children that we can serve to Him. In the camp we touched many dreams, but for everything is Gods timing. Even today it looks far future, but such a big dream for many Lithuanian believers is to start worship 24/7 and open Christian arts & prayer centre. I know what we need to be faithful in small, so I believe when God open doors we will start 3-5 hours daily worship, and one day it will grow to 24/7. One of biggest my dreams we working now – worship event in professional record studio. This is innovation in Lithuania, and we believe, that in that kind of events it’s possible to have breakthrough and to have quality anointed records, what we really need in Lithuania. Thank you so much for your friendship and support. We’d like to thank all of you for partnership in prayer and financial support. Your giving helps us to realise God given dreams. I am counting my last days spent in Jerusalem and looking forward to coming back to Lithuania. There, me and a student of Bethel School of Supernatural Ministry (BSSM) Justas Juozelenas are organizing a worship camp called „Breaktrough“ from the 27th to the 29th of July. 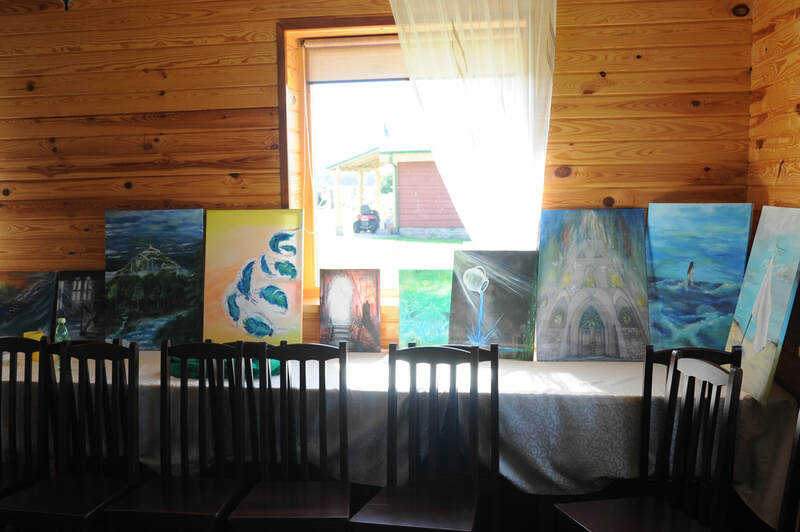 Everyone who sings, writes songs, plays any kind of instrument, paints or worships the Lord with other talents is very welcome to come and enjoy spending time in Lithuania‘s beautiful nature . When some people heard this idea of having a worship camp involving different kind of arts, they said that they have been dreaming about it for a long time. My heart is also rejoicing, because I have been dreaming about this camp for 8 years and this dream will soon come true. ​However, many people in Lithuania can’t afford to spend 65 Euros on a 3 days lasting camp. But we don’t want any kind of barriers stopping anyone from coming. Therefore, we included a field in the registration form that you can select if you are willing to come but don’t have enough finances. Me and Justas started a fundraizing on the internet. Our aim is to fund 10 people, which would be around ~$750 (€650 (Euro)). This amount would cover food and accomodation for 10 individuals in need of financial support. It would help to make their dream of taking part in this camp come true. Thank you for your prayers and support. God bless you! Even when we was living without God we understant the rule, that most important to be, where you need to be. And what kind of resposibility we need to have now, when our lifes are dedicated to the Lord? That this rule can be valid, we need everyday listen attentively to Christ, who lives in us and obey to that soft inner voice. To be where you need to be very often does not match with our personal aspirations, so when we need to make decision to obey the leading of the Holy Spirit, we need always to humble ourselfs and to do not what we would like to do most, but to be there where we are the most needed. As I mentioned in my last letter, that one of biggest my desires was to be in youth worship camp for Jewish and Arab teenagers. Camp was organized by prayer house “Succat Hallel” based in Jerusalem. And of cause I was in that camp, but not in that way how I want, but in that way how Lord was prepared. The most important to be, where you need to be. Worship camp “Next generation” started at 26th of June, Monday and continuing for 5 days. To this camp came young Jewish and Arabs believers, and also in Israel living Koreans, Ethiopian Jewish and maybe few other nationalities. Also there was abundantly teachers and camp leaders from all over the world. The most of them was from IHOP university (Kansas City), also from South Korea, Malaysia, Finland, missionaries from Egypt and some other nations. It was grace to represent Lithuania in that kind of event, and to serve in that way how I can, but really everything was not in that way how I imagine. And praise the Lord! As I mentioned camp started on Monday, and majority of ministers from prayer house “Succat Hallel” went to youth camp. Because of that it was loopholes in 24/7 worship, and someone need to stand in the gap. That privilege was given to few worshippers who came from abroad, including me. It not was some kind of big disappointment, even I was willing to be in the camp from the very beginning, but I understand, that the most important to be, where you need to be. So, 3 from 5 days of the camp I was in Jerusalem and that was such a special time. Can you imagine that kind of picture: from the window of prayer house you can see old city of Jerusalem, with raised your hands to heaven you can pray for Israel, bless people living there, and worship king of Kings Jesus Christ! Every day, and even sometimes in the night I spend 2-3 hours in prayer and worship, and I can tell you – this is big challenge. I remember one sentence, what I heard long time ago, that we need to give to God the tithe of our time. If this is true, so ministry in the house of worship and prayer is that tithe, and sometimes it’s not easy, especially when you have night watch, but the most important to be, where you need to be. Maybe you would like to ask me: “How do you know where you need to be?” The most important thing for every believer is to be in the presence of God. Of cause presence of God is not defined by geographical measurement – this is spiritual realm. But if we want to fulfil the will of God we need to be in His planned place at His time. So now probably you would like to ask me another question: “How do you know that this is Gods planned place and His time?” Good question, but answer is very simple: “I know, that I know, that I know”. And that knowing is confirmed by peace and joy, who come from the Lord. Even Bible tells us, that Kingdom of God is not eating and drinking, but righteousness, peace and joy in the Holy Spirit (Rom 14:17). So, Holy Spirit witness to our spirit through the peace and joy in our inner being. I think you are interested to know more about the camp. So, I will try to tell you the most important things in short way. From all the land came about 100 young messianic Jews, Arabs and young Christians from other nations, who living in Israel. This is next generation, who will make big impact in the life of nation of Israel. And this impact for sure is spiritual. So, during the camp youth was blessed by the word of God, and even messages was orientated to teenagers, even I was very blessed and encouraged. Because this camp is worship camp, so no doubt, there was a lot of worship. Every morning and evening everyone was gathering together, and in this meetings the name of Jesus was magnified in Hebrew, Arab and English languages. Also in the camp was masterclasses, where youth can learn more how to play drums, guitar, violin and keyboards. Also in the camp was group of young people who was learning how to film and edit movies, and during of the camp they made music video. 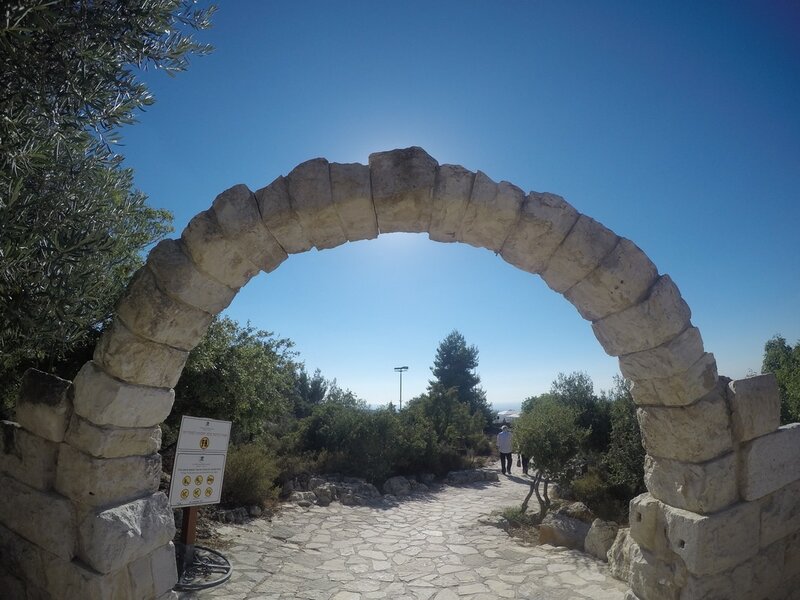 From 5 days of camp, I was there just for 2 days, but I believe, that was will of God, because when I was for first 3 days in Jerusalem I was filled with incredible peace and joy from Heaven. When I came to the camp, the first thing – I was amazed by incredible beauty of the place where everything happen. 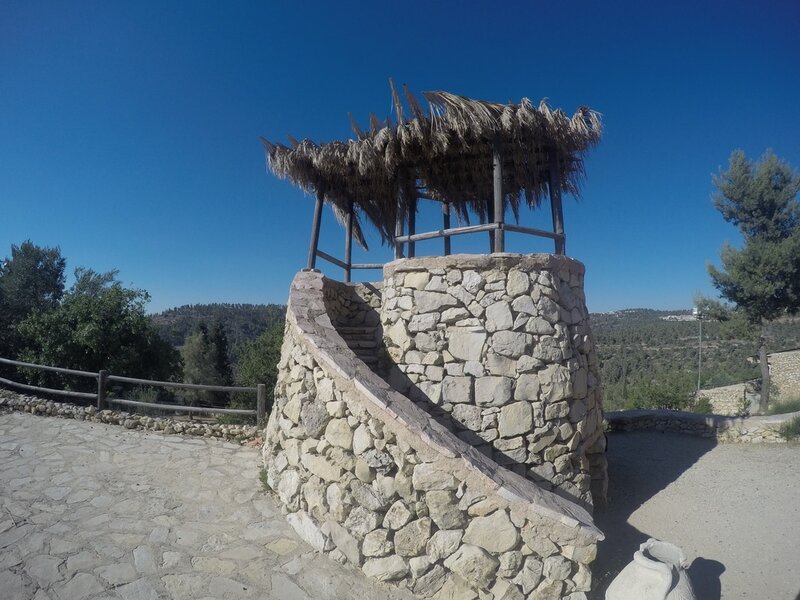 This is in the mountain area based messianic kibbutz (community village), where is ancient Biblical garden, amazing guest houses and many halls. So this place is perfect to organize different events. ​I came to the culmination of the camp. From the participants was made 7-8 music bands, and they need to prepare songs for worship night. When children was in the pool (outside of the camp), me with other volunteers was preparing rehearsal rooms, and in one of those rooms I was responsible for the sound. When I was traveling to Israel, I was even not thinking, that my small ability to work with sound system can be helpful in the camp, but this was the biggest need, and I remember, that the most important is to be, where you need to be and to serve in the most needed area. After receiving many ideas in youth worship camp and house or prayer where worship going 24/7, already next week I’m coming back from Israel to Lithuania, where 27th-29th of July we organizing worship camp “Breakthrough”. The goal of this camp is to bring different kind of worshipers – song writers, artists, painters, video makers, photographers, designers, sound engineers, managers and to find the ways, how we can make impact in the life of our nation. Camp will be in the beautiful Lithuanian village, and fee for 3 days and 2 nights with food is from 45 till 65 Euros per person (depends on conditions). In our registration from we did option, if people is willing to come, but they don’t have finances – that they can inform us. So if you have in the heart to support those worshippers who are financially not able to come to the camp, please write me email. During this trip in Israel I learned a lot. One of most amazing things, when I ministering with the team of prayer house “Succat Hallel” – its incredible level of gratitude. From leaders to volunteers, all people are filled with love and thankfulness. Even sometimes its surprise me – for every small thing what I did they giving thanks to me, and this is really making incredible atmosphere. Beloved, gratitude unlocking the hearts of the people, so let’s be thankful – every day for even small things give thanks to our Heavenly Father, and I challenge you to be more and more thankful to the people, who surrounding us. I sincerely giving thanks to you, that you writing the words of encouragement, that praying for me, and supporting this ministry financially. Thank you so much!